Real-time systems are of importance to a large number of university laboratories and research institutes worldwide, and without the proper integration of real-time into distributed computing, institutions simply could not function. 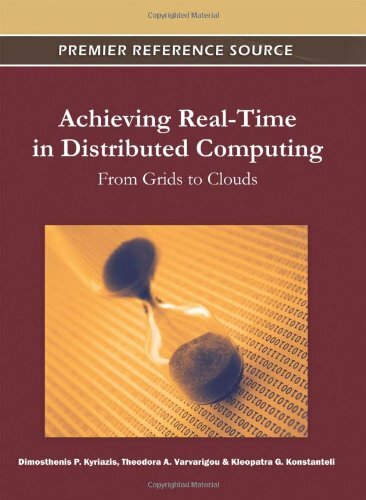 Achieving Real-Time in Distributed Computing: From Grids to Clouds offers over 400 accounts from a wide range of specific research efforts. Major focus is given to the need for methodologies, tools, and architectures for complex distributed systems that address the practical issues of performance guarantees, timed execution, real-time management of resources, synchronized communication under various load conditions, satisfaction of QoS constraints, and dealing with the trade-offs between these aspects.